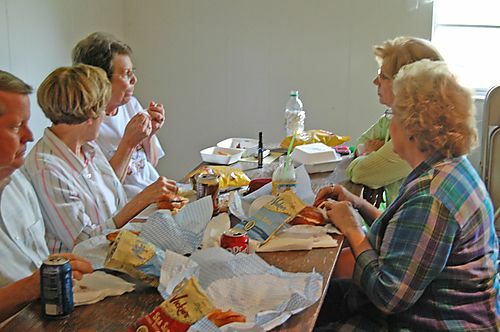 Lively conversation... peels of laughter... remembrances of younger days... and discussion of serious subjects accompanied the delicious lunch provisions, as we all attempted to get caught up on each other's lives. It was amazing that though we have had little or no contact through the years, it was truly a gathering of dear, longtime friends. It took absolutely no time at all to confirm that we are kindred spirits.